Turning Star has a long, storied history working with the entertainment industry to keep the public safe in the theater, films, live shows and performances. The theater always presents us with unique challenges to treat a wide variety of materials with flame retardants to the highest standards. Innovative processes and state of the art fire retardant products are a necessity, and Turning Star welcomes the opportunity each and every time. Recently, we were involved in two events in NYC: one for the Metropolitan Opera and the other for Signature Theater. 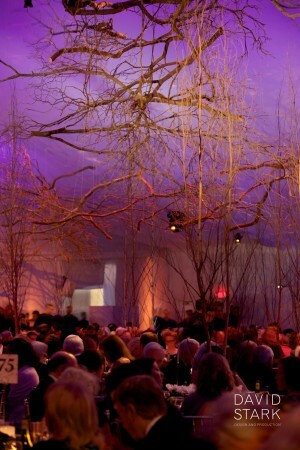 For the Metropolitan Opera’s Gala, we treated birch trees and mountain laurel branches with a specialized fire retardant product. We found the tight bark of the birch trees especially challenging. Over 250 trees and branches of various sizes had to be stripped, dried, and treated multiple times in order to meet stringent requirements. We think the effect was well worth all of our efforts. Magnificent! Another recent commission was with The Signature Theater for the production of August Wilson’s How I Learned What I Learned. 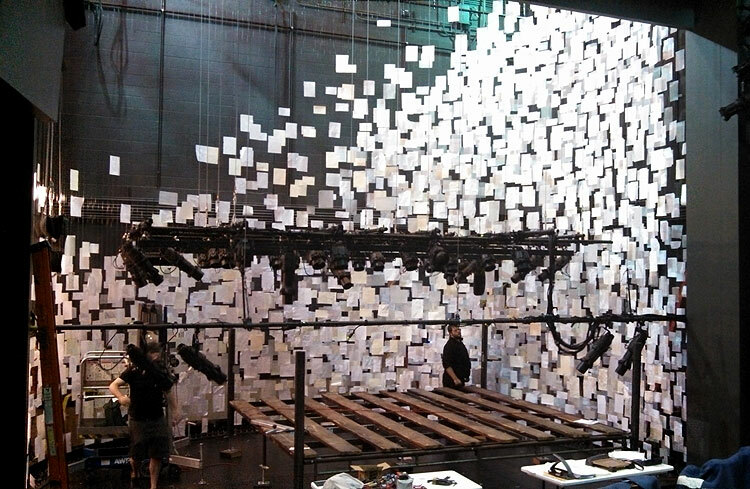 For this set, over five thousand pieces of paper were the medium of the day. We treated eleven different types of paper - napkins, envelopes, copy paper, four types of water color paper, card stock, four types of vellum, lined notebook paper - all in different sizes. Each piece was treated individually based on its material to ensure we met and exceeded all fire safety standards. Have a theatrical flame retardant challenge? Let us know.